This dynamic two storey open space is located in the West Side of Chicago. 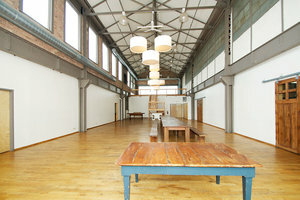 At 3,400 sq ft the space is ideal for Private Events creative Pop-Up Stores and Launch Events. 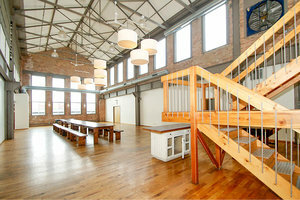 The open and sunlit event space is complete with a 400 sq ft mezzanine area, a back room for breakout space, cocktail area, elevator access, rental access to the commercial kitchen facilities and a friendly staff. Perfect for intimate events and large gatherings alike, this beautifully designed, simple, urban setting can be transformed into a venue that will be sure to thrill your guests and help to make your event a complete success. 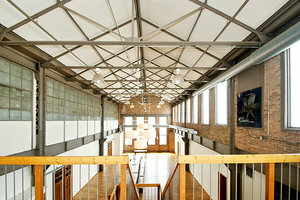 The space is located near the West Side of Chicago, very close to the Fulton Street collective and Garfield Park.